Having grown from a turnover of Kshs 200m per year to over Kshs 3 billion per year, Kenindia Assurance will be celebrating its 40th anniversary. We had a one-on-one with Mr. James Macharia, the Chief Operations Officer who shared the company’s journey over the years and his perspective of the insurance industry. 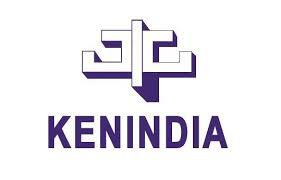 Give us a brief background of Kenindia Assurance. Kenindia Assurance Company Ltd was formed in 1978 when several Indian Insurance companies operating in Kenya decided to merge to form one unit. The company currently provides a wide portfolio of insurance products in the general insurance segments. Its gross premium income crossed the Kshs 3 Billion mark in 2007 and made it the largest non-life insurance company in Kenya. The company boasts of a quick claims settlement policy and a large portfolio of products to choose from, which include Personal accident policy, marine insurance policy, erection all risks, fire insurance policy, travel insurance policy, public liability policy, burglary policy, among others. What have been Kenindia’s success over the years? Since then, Kenindia has grown from strength to strength to become a leading household name in Kenya. As I noted earlier, by 2007, a span of 29 years, the company had crossed the Kshs 3 billion gross premium income mark to become the largest non-life insurer in Kenya. This profile is in itself a statement of the remarkable stage the company has reached in its evolution since that merger in 1978. How do you see the new look Kenindia Assurance benefiting your clientele, partners and future prospects for business? As a financial services group we see our role as providing products and services that meet the needs of our customers for financial protection and capital accumulation. The Kenindia brand is a strong brand in Kenya and we have won several awards including the AKI Company of the Year Award, Superbrands East Africa and the Kenya Institute of Management COYA award for Customer orientation and Marketing. These awards are in recognition of the quality of our services and we hope to build on these strengths in the expanded market landscape and bring the benefits of our services to the people of East Africa. With a wider customer base we hope to generate superior returns for our shareholders. The Kenyan insurance sector continues to be dominated by a few big well heeled players and numerous small players with little or no impact in the sector, do you foresee a consolidation in the sector and are you going out fishing for some of these small players? On the contrary the insurance industry is very fragmented and unlike the banking sector, there is no dominant player or players who control(s) and can provide industry leadership. This is so particularly in the general insurance sector and that is why the industry is characterized by cut throat competition. Having said that we are always looking for good acquisition candidates and will not shy off investing or acquiring existing businesses across the region as long as there is a fit and there are business synergies to be derived from such acquisitions. The lack of penetration of insurance and related services has been blamed on insurance companies not marketing their services aggressively enough. How do you see Kenindia Assurance playing its role in spreading the insurance gospel so to speak? There are multiple causes for the low penetration ratio of insurance and it will take the concerted efforts of many players and stakeholders including the Insurance Industry itself and the policymakers to change the negative public image of the insurance industry. So blame for the low penetration cannot be solely placed on the insurance industry although it has a great role to play particularly in developing innovative products and distribution channels. Penetration could also be increased through tax incentives particularly for life insurance whose penetration is even lower than for general insurance. One of Kenindia’s strength is the large sales force of over 1000 financial advisors and our wide branch network spread throughout the country. While exploring additional distribution channels, we intend to grow this number significantly and open more branches in the Counties in line with the new constitution. The banking sector has used technology (mobile banking) so well to expand reach – what has the insurance sector done in that sphere? The insurance industry has also invested heavily on technology and today the use of mobile phones to pay premiums and also receive commission is on use. We have also come up with bulk SMS.